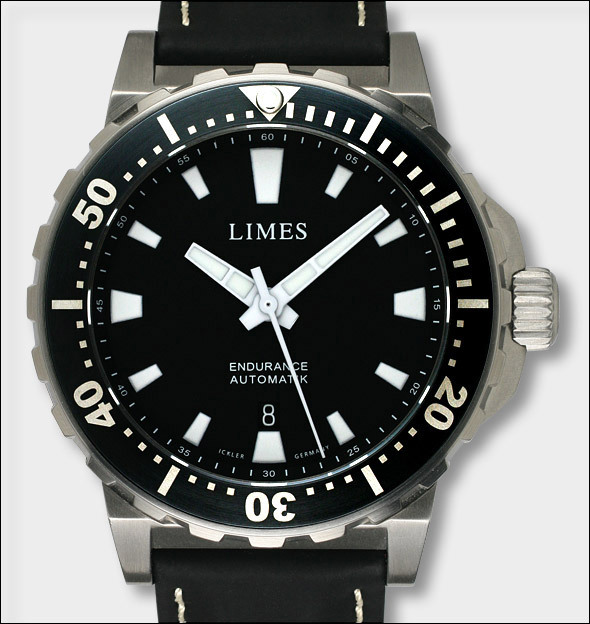 With a diameter of 44,5mm the Leviathan is the biggest divers watch of LIMES. 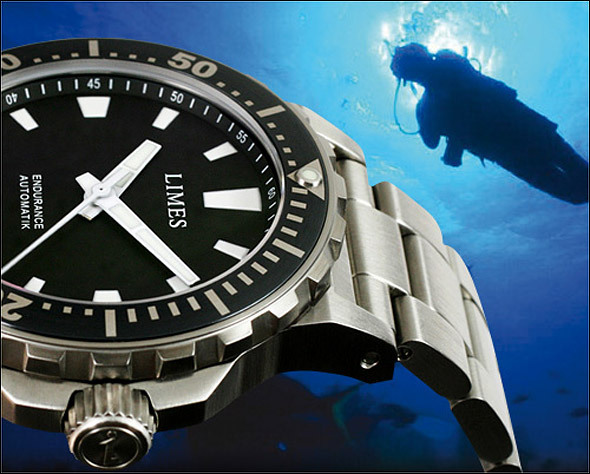 The water resistance is 30 atm and the Ickler made divers case has a thickness of 13,5mm. 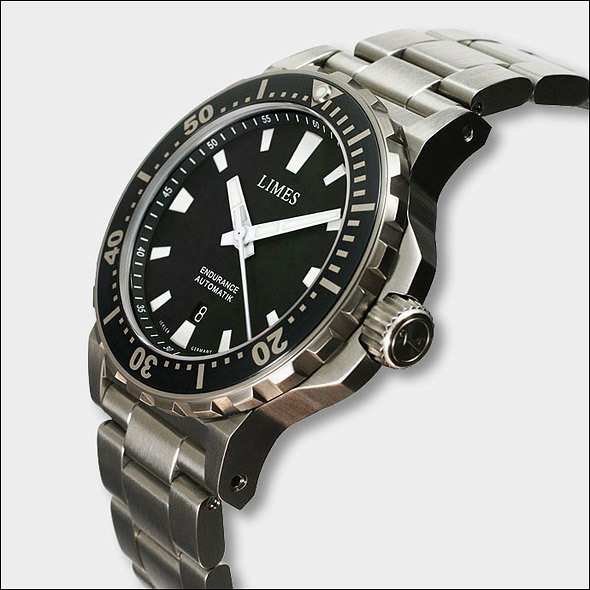 The steel bracelet has a with fold-out extension to fit around the divers suite. 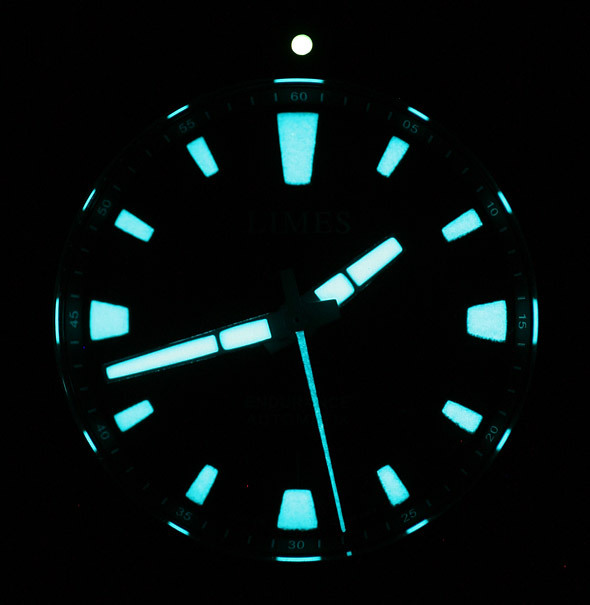 The lume of the Leviathan is very bright. The prices are: Eur 960 (steel bracelet) and Eur 860 (rubberized leather strap). Looks great, Irrrve never ever realized it is possible to post relating to this, preferable to know thanks! You present crucial and newest issues. This is certainly very good post! I’ll bookmark this web site.